There was a very excited audience at Frank Theatres Rivertowne Stadium 12 in Conway, SC December 9, 2017. This wasn’t a typical day for moviegoers in the area. This was opening day for the anticipated short film, Among the Stars. Writer and Director, Jack VanderToll, stood in appreciation as he watched his vision unfold on the big screen with a very receptive and proud crowd. The film surrounds Robert (played by Ethan Williams), an innocent young man who barely evades a figure who is ruthlessly hunting him. His plight hasn’t gone unnoticed by supernatural beings Michael and Magnus, who are both fighting to either save or doom Robert’s soul. Robert seeks help from his friend Felicia as they are caught in the cross hairs of a timeless battle between good and evil. The film begins beautifully as Robert and Felicia enjoy a quiet night together but then are abruptly interrupted by a figure who is called upon by Magnus to deliver them to his master. Robert and Felicia aren’t the only ones in danger. Michael has been lured into Magnus’s trap in his effort to save them. The fates of both mortal and supernatural hang in the balance on Earth and among the stars. Equipped with a Sony NXCAM NEX-FS700 and a Panasonic AG-AF105A, Michelle Elise Harding did a wonderful job as the Director of Photography and Editor of this film. When asked about how long it took to film, Michelle said, “We spent eight days filming over the course of five months due to weather delays and script revisions.” As it is with many films, there can be many setbacks as well as cool accidental visuals that can really add to the film. “The cricket that is seen in the trailer and opening scene of the film was not scripted. It landed on Director Jack VanderToll’s head and wouldn’t fly away, so it was incorporated into the final film.” (Michelle) The actors even did their own stunts choreographed by Christian Brunetti, who also played Magnus. The goal for the film is to continue having as many new eyes on it as possible riding the festival circuit and hope for positive reception. After having a successful premiere on the coast, the film traveled to the first meeting of the year for Carolina Film Network in January. 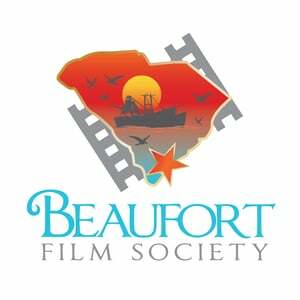 It was also a great representation of the Myrtle Beach Film Community at this event highlighting collaboration over competition. This was a great start for the film as the reception for the film was more than welcomed with warm eyes, but it also was praised for its attention to biblical reference and originality. Among the Stars is more than just another great South Carolina originated film. It serves as an opportunity for growth in the industry, a production of quality and perseverance, and a dream-come- true for its creators. We at Carolina Film Network recommend following this film on Facebook and Instagram @amongthestarsmovie for more screening information as well as watching its flourishment. Congratulations on a job well done!